The Pirastro 3/4 Double Bass Light A String offers a reliable, dynamic tone for the modern musician. The synthetic gut core is made from multifilament fibre which has both an authentic tone and a more consistent playability. The chrome steel winding is a durable surface that maintains the quality of your tone. This model’s light gauge tension achives a more charismatic response, as well as being easier to use for less experienced musicians. The Evah Pirazzi strings have a powerful, articulate tone with a clear low frequency presence. The tuning stability makes them ideal for gigging musicians who still want a gut sound. This A string features a ball tailpiece end and is designed for 3/4 size double basses. 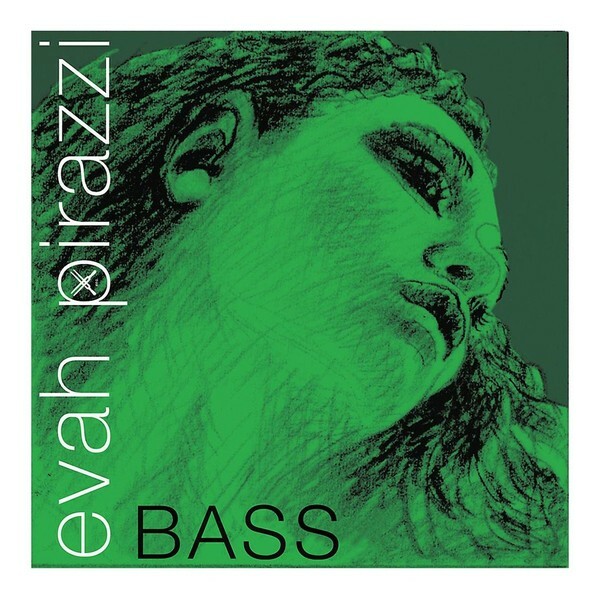 The Evah Pirazzi range of strings offer a complex sound with excellent playability. The strings produce dark notes with a resonant decay, producing an engaging sound. These strings have uncompromisingly easy playability and are immediately at their optimum tone when you start playing them. The outstanding response gives you excellent control, so the strings are as dynamic and malleable to different styles as you are. Each string is designed to coordinate with one another for a balanced sound full of tonal colourings. The Evah Pirazzo string range is ideal for bassists requiring a balanced, reliable sound every time they play.